According to reporting from the Miami Herald, a Miami Beach man can be prosecuted for the unregistered sale of Bitcoin to an undercover police officer. In 2016, Michell Espinoza — a Florida-based web developer — was arrested and charged with illegal transmission of funds and money laundering after selling $1,500 worth of unregistered Bitcoins to an undercover Florida police officer. The case was initially thrown out by a circuit court judge. However, upon review of the allegations, the Third District Court of Appeal for the State of Florida has reinstated all charges, ruling that prosecutors can charge Mr. Espinoza with illegal transmitting. In this post, our experienced Miami, FL white collar crimes defense attorneys review the key elements of this decision. In the case of State of Florida vs. Michell Espinoza, the core issue at stake was whether or not Bitcoin constitutes ‘money’ for the purposes of certain Florida criminal statutes. Mr. Espinoza was arrested and charged with operating a business as an illegal, unregistered “money transmitter”. Beyond that, he was also charged with an additional count of money laundering. Previously, a lower court dismissed the charges against this defendant on the grounds that Bitcoin is not money for the purposes of these criminal statutes. Instead, the Miami-Dade County judge ruled that Bitcoin is more akin to a poker chip. The Third Court of Appeals disagreed with that assessment. Citing guidelines from the United States Department of the Treasury and from the Florida Office of Financial Regulation, the appeals court determined that selling Bitcoin — the world’s most prominent digital currency — is the same thing as engaging in “money services”. Companies doing so must be properly registered with state regulators, and Florida law enforcement agencies can enforce relevant criminal statutes. As a result of the decision from the Third District Court of Appeal, the felony criminal charges against Mr. Espinoza have been reinstated. At this point, a further trial date has not yet been set. The biggest takeaway from this case is that business owners and operators who are engaged in the buying and selling of Bitcoin, or in the business of selling other money-related financial services, should ensure that they are properly registered with all state regulators as required under the law. The failure to do so could potentially land a person in serious legal trouble. 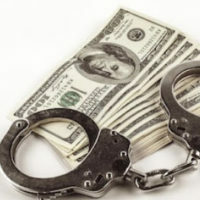 If you or your loved one is facing any type of money laundering or unlawful money transmitting charges, it is crucial that you seek professional legal guidance as soon as possible. At Ratzan & Faccidomo, LLC, we are proud to be strong, aggressive advocates for our clients. If you or your loved one is facing any financial fraud or white collar crimes charge, our legal team is here to help. For a free, strictly private initial consultation, please do not hesitate to reach out to our Miami law office today.